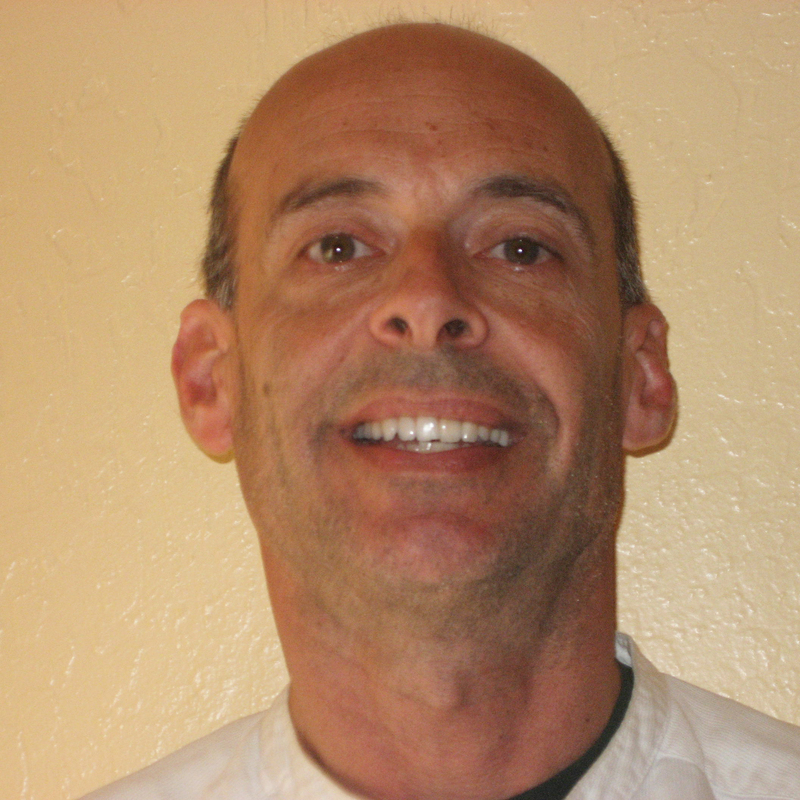 Palestinian SFSU prof’s lawsuit alleges discrimination, JCRC influence – J. 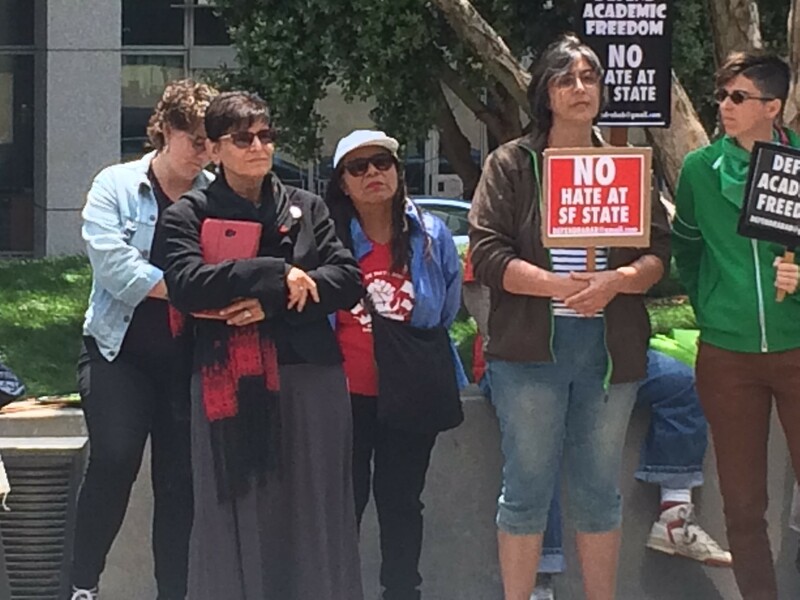 A San Francisco State University professor who was targeted in a previous lawsuit filed by Jewish students has filed her own lawsuit, accusing school administrators of harassment and discrimination because she is Palestinian. In the new federal suit, Rabab Abdulhadi alleges that two university presidents withdrew their support for her Arab and Muslim Ethnicities and Diasporas Studies program after being influenced by the Jewish Community Relations Council. The suit originally was filed last August, and a 42-page amended version was filed Jan. 14. Attorneys for the California State University system, which includes SFSU, filed a motion on Jan. 29 seeking to dismiss Abdulhadi’s suit. A hearing on the motion is set for March 6 in Oakland before U.S. District Judge Yvonne Gonzalez Rogers. 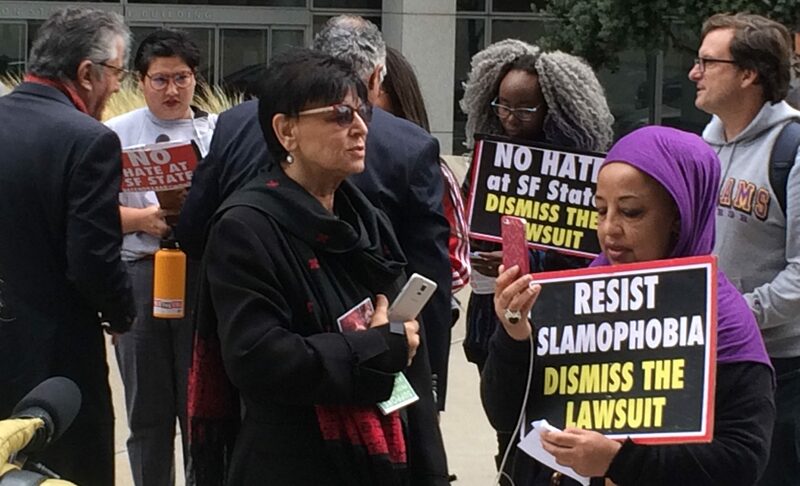 The amended complaint comes three months after another federal judge dismissed a lawsuit by several Jewish students who sued SFSU — naming Wong, Abdulhadi and others as defendants — claiming they were victims of systemic anti-Semitism on campus. That October ruling by U.S. District Judge William Orrick in San Francisco is under appeal. A similar lawsuit was filed last year in Superior Court of California by two of the Jewish students who filed the federal claim. Abdulhadi is not named in the state case. In her lawsuit, Abdulhadi claims SFSU harassed her by refusing to pay for, or reimburse her for, “scholastically-related travel,” including a planned trip to a conference in Beirut. 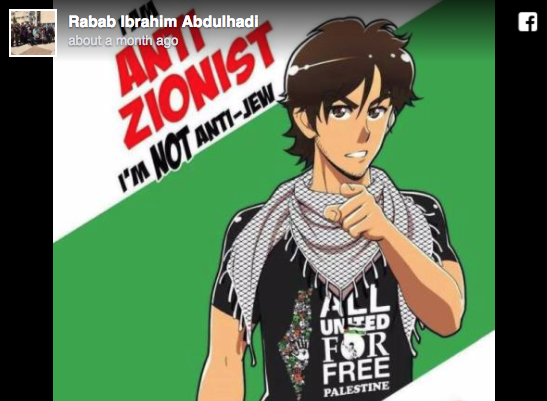 Pro-Israel groups sent a letter to the state controller in 2014 demanding an investigation of Abdulhadi’s trip, saying it included meetings with members of terrorist organizations. 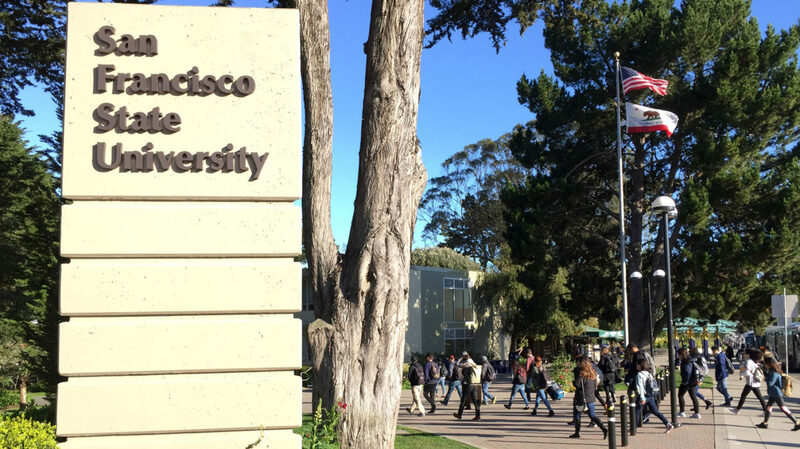 Abdulhadi also claims in the suit that in 2006, when SFSU recruited her from the University of Michigan to become an associate professor, the university promised it would hire two additional full-time faculty members for the AMED program. But she claims then-SFSU President Robert Corrigan reneged on that written agreement and never allowed her to hire the staff members. Abdulhadi also alleges in the suit that Wong, who succeeded Corrigan in October 2012 and plans to retire this July, at first supported the AMED program, but changed his posture after taking a JCRC-sponsored trip to Israel shortly after starting the job. 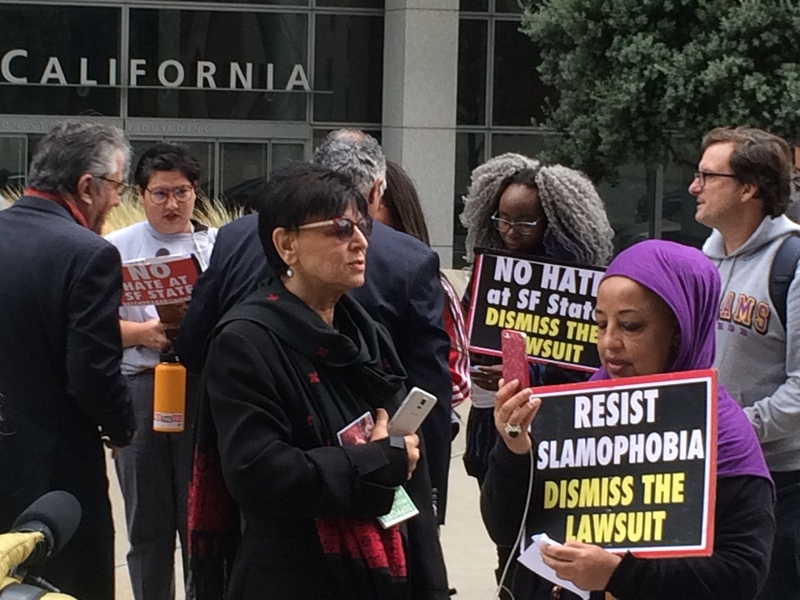 Abby Porth, executive director of the S.F.-based JCRC, and Bradley Phillips, an attorney representing SFSU, Wong and the other defendants in this case, both declined to comment on Abdulhadi’s claims in the lawsuit.